Kemari: Was soccer an East Asian invention? Most soccer fans worldwide are probably unaware that the Japanese (and the Chinese) have been playing different forms of football for more than a millennium. That’s entirely understandable, however—most Japanese are probably unaware of it too. The game the Japanese play is called kemari, and it dates from the Heian Period (794-1192). It was once wildly popular among all classes of society, including everyone from the Emperor and the samurai to the commoners, and this popularity continued for several centuries, until the Muromachi Period (1333 – 1573), when interest shifted to sumo. In fact, a list of people reputedly skilled at the sport reads like a Who’s Who of Japanese history–it includes several emperors, Oda Nobunaga, and Toyotomi Hideyoshi. The idea is similar to hacky sack—a ball is kicked among several people, with the idea being to keep it from hitting the ground. The brief explanation given here on the Imperial Household Agency’s website says that there are no winners and losers; the idea is just to kick back and have a good time, so to speak. That’s not what the Japanese-language version of Wikipedia says, however. They claim that there is (or was) competition, both in the team version and the individual version. The objective in the team version, which has eight kickers, or keashi, to a side, is to see how many times the mari, or ball, can be kicked consecutively without letting it hit the ground. In the individual version, the person who lets the mari hit the ground loses. That’s not the only issue at dispute. Even the Japanese think it came from China (along with most everything else), but others seem to think that the Chinese game and the Japanese game developed separately. Indeed, the Chinese game, called tsu chu, involved kicking the ball into a container suspended from a rod, which is significantly different from the Japanese game. Nevertheless, the Football Network site claims the Chinese and Japanese squared off in the year 50, making it the first recorded international football match. I wonder about that date, however. That would make it one of the first, if not the first, recorded contacts between the Chinese and the Japanese, but they don’t provide further information on the document. People who want to see a vintage performance of the sport can visit the Konpira Shrine in Kagawa Prefecture. 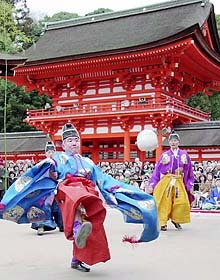 The photo accompanying this post is a shot of the action on the shrine grounds. 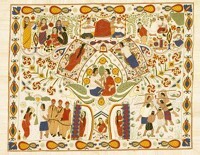 Performances are given three times a year, in May, July and December. In addition to the colorful period costumes, you’ll get to hear the keashi shouting Ariya, ariya, ariya! as they control the mari, and Ari! as they pass it on to the next player. Hey, don’t laugh. I’d rather watch kemari than paint my face, get drunk, and scream Oreh, oreh! at a soccer match. It’s probably a lot cheaper than a soccer ticket, and the spectators are closer to the action besides! Postscript: This is a video of a kemari demonstration. Keep in mind these are old guys who probably got the costumes out of the dry cleaners that morning. Here’s the website for the Kemari Preservation Society, and the Shinshu Kemari Association, for those of you who read Japanese. The best laid plans: Well, so much for my intentions to run a high-minded site. First there was the link to the clip of young women breaking steel with their bare butts, and now here’s a clip of a young woman running a road race. That may look like a track suit she’s wearing, but it’s actually body paint. The beauty of this clip is that it really is work-safe! It’s in Japanese, but you’ll have no problem figuring out how to see it. Occidentalism has a post reporting that some South Koreans with too much time on their hands are claiming that Okinawa was founded by people from the Silla Kingdom. He has links to two Korean-language sites. I’m sure this will come as news to the Okinawans. After two serious posts in a row, it’s about time for something trivial. That’s a fair description of the Japanese TV excerpt a friend in London sent to me by e-mail. He sent it in a Realplayer file, but I found it on YouTube, and that’s easier for me to link to. About 50 seconds long, it shows two young women breaking things with their bare buttocks. Here it is. Eastwood’s Iwo Jima: A new view of the Japanese, or an exception to the rule? Will spends more time, however, on American attitudes toward the Japanese, both during the war and after it. Stephen Hunter, movie critic for The Washington Post, says that of the more than 600 English-language movies made about World War II since 1940, only four — most notably “The Bridge on the River Kwai” (1957) — “have even acknowledged the humanity” of Japanese soldiers. Read any article about the Japanese today in any mass media newspaper or magazine, and it’s soon apparent that the approach of many in the West toward the Japanese nation and its people hasn’t changed a whit. The demonization is no longer overt, but it is still the baseline assumption. That most definitely includes Westerners who have lived and worked in Japan for years, from the garden variety English teacher to the people who staff the English-language newspapers in Japan. Their patronizing smugness is sometimes so thick you can cut it with a knife. Hunter can think of only four war movies that acknowledge the humanity of the Japanese. I’d be hard-pressed to think of very many more articles I’ve seen in the Western mass media that come close to giving Japan the even-handed respect any nation should receive. For those of you without direct experience of Japan, it is no exaggeration to say that anything you read about this country in the Western press contains–at a minimum–one severe distortion or error. Often the entire premise of the piece is skewed. And this is for a country whose behavior since the end of the war has been close to impeccable, particularly when compared to any other country you’d care to mention. I’ve written about this before, particularly in the About page above, and it’s one of the reasons I have this site. I’m glad George Will noticed, but it remains to be seen if there will be much of an improvement soon, even if Eastman’s movie does win the Best Picture Oscar. 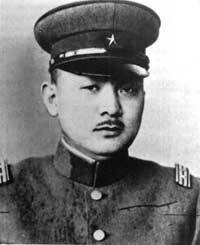 Update and Endnote: Will describes the Japanese commander on Iwo Jima, Tadamichi Kuribayashi, as a “cosmopolitan warrior”. Here’s a column by Hirokaki Sato in today’s Japan Times titled, Eastwood Didn’t Idealize Kuribayashi. 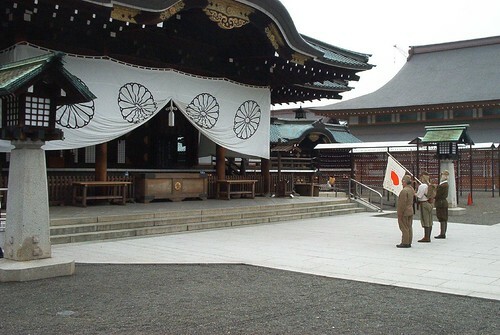 Criticisms of the Yasukuni Shrine in Tokyo, and by extension, visits to the shrine by Japanese prime ministers, focus on two topics: first, the enshrinement of the spirits of those referred to as Class A war criminals, and second, the affiliated Yushukan museum’s self-serving and counterfeit justifications for the Pacific War, including the claim that President Roosevelt goaded Japan into conflict to bring the US out of the Depression. Now, Hisahiko Okazaki, the former Japanese ambassador to Saudi Arabia and Thailand, has taken up the task of modifying the museum exhibits, as he describes in this article in the Japan Times (registration required). Give the man credit—this is as thankless a task as you could imagine. He has to satisfy those people at home who think Japan’s biggest mistake was not picking on someone its own size, and try not to offend those people in East Asia who’ll use any excuse to bash Japan. This does not mean, however, that people in “certain other countries” would approve of the changes. Keith Lango’s animation blog has a roughly 10-minute clip of a North Korean children’s cartoon program. Naturally, the point of the program is to instill patriotic sentiment. Considering the amount of control the government has over the media, they might well be successful. There’s more where that came from–juchekorea has a full stash over at youtube. Try Public Information Film 2-3 to see what real propaganda looks like. It’ll be enough to give you a proper perspective on all the silliness about Karl Rove. “I cannot see her tonight. ONE of the oldest gags in Japan is the guy in a restaurant eating fugu who clutches his throat, makes gagging sounds, and pretends he’s dying on the spot. That’s because eating the fugu, or globefish, will kill you if it has been improperly prepared. The liver and the ovaries contain the deadly poison tetrodotoxin, and one fish contains enough to kill 30 people. Fugu consumption has been periodically prohibited in Japan, and it still is in certain areas. The dish is the only one never served to the Emperor. The potential danger is the reason for licensing the chefs in Japan who prepare it. Fugu also takes a long time to prepare. The combination of skilled chefs, long preparation time, and the psychological appeal of flirting with danger makes dining on the fish an expensive proposition. The potential profit is one reason Ureshino in Saga Prefecture is lobbying for authorization to raise non-poisonous fugu in fish farms on land. According to a Saga Shimbun report (in Japanese), the prefectural government claims fugu are deadly because the food they eat contains toxins, and these toxins accumulate in the fish’s body. (The idea that you are what you eat seems to be true for fugu, too.) They also claim, based on research conducted by Nagasaki University, that fugu raised on land and prevented from feeding on other creatures with toxins will grow up to be non-poisonous. 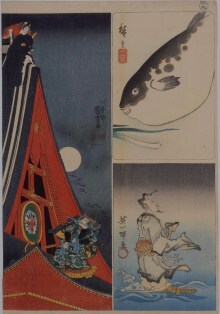 Saga and Ureshino petitioned a Cabinet committee on food safety to allow these fugu to be served in Ureshino inns, where they are currently prohibited. They also have submitted a plan for preventing non-poisonous fugu from getting mixed in with the ordinary poisonous fish. The Ministry of Health, Labor, and Welfare already has looked at the data presented by Nagasaki University and they aren’t buying it. They don’t think it explains the mechanism through which the fish become toxic. The Ministry first wants to see data from a new facility that uses the new breeding techniques before they change their mind. So Saga and Ureshino have appealed to the committee to consider the issue again. If safe fugu becomes easily available, will it eliminate the thrill people get from eating it and cause the price to drop? With the continuing decay of serious journalism around the world, coverage of politics and government in Japan—seriously flawed to begin with—has now reached the level of farce. No clearer example can be found than in this recent article by Richard Lloyd Parry and the gang of halfwits at the Times of London. While there’s no problem with the initial reporting—the Abe administration in Japan has grown disenchanted with the Bush administration in the US and seems prepared to give Vice-President Cheney a frosty reception during his upcoming visit—their interpretation tries to twist the facts like so much pretzel dough into the preconceived scenario they apply to any political news coming out of Tokyo these days. Abe’s unhappy with Bush? That’s because the prime minister’s poll numbers are down! The surge of bad feeling towards Japan’s greatest friend and ally is symptomatic of the unease which has spread since Junichiro Koizumi stepped down last September…Mr Abe’s popularity has gone into a slump, and he has appeared increasingly incapable of controlling his Cabinet. 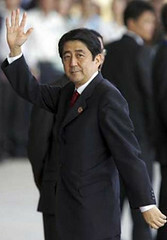 The surge of bad feeling toward the US has nothing to with symptoms of unease derived from Mr. Abe’s slump. What The Times needs to do here, assuming they’re serious about being a newspaper rather than just a medium for advertising, is to apply the Sigmund Freud principle to politics: Sometimes a cigar is just a cigar. If they applied that principle, they’d realize that Abe and his supporters are upset with Bush and his betrayal because it’s a betrayal. As in, you’re supposed to be our allies, but when the time came to back us, you ditched us instead to make yourselves look good. The prime minister has gone to great lengths to point out that countries that respect liberty, free markets, and the rule of law are natural allies that should work together. He also repeatedly stresses the importance of the alliance with the US. The biggest overseas threat to Japanese security today is North Korea’s nuclear program. Pyongyang keeps firing missiles in Japan’s direction. The first, a few years ago, flew over the country, and last year they fired a series of six or so in a line pointing straight at Honshu. (The world’s media concentrated on the failure of one long-range ballistic missile, overlooking the others.) The North Korean propaganda machine, manipulated by that truly malevolent Munchkin, still threatens to turn Japan into a sea of flame. Everyone in the Japanese government knows that if the North ever gets its missile act together, sticks a functional nuclear warhead on top of one, and is rash enough to actually use it, it’s going to come down a lot closer to Disneyland in Tokyo than to Disneyland in Anaheim. The reason Japan keeps footing the bill for all those bases is that the American end of the deal is to handle the rogue regimes in East Asia that threaten Japanese security. Instead, the Bush administration—the political soulmate of the Abe administration—imitates his predecessor and buckles yet again to Pyongyang. Abe was hoping for some support in the six-party talks to force North Korea to come clean about the rest of the abducted Japanese citizens. Paul Stookey of Peter, Paul, and Mary fame has written a song about Megumi Yokota, one of the abductees, and even showed up in Tokyo to sing it, so the West is starting to cover the touchy-feely aspect (unfortunately one of the few aspects it can still get right). The Japanese listened politely, but primarily consider the abductions to be an infringement of national sovereignty rather than a photo op for an aging folk singer. So instead of taking a hard line on Pyongyang’s nuclear program and supporting the Japanese—their allies by treaty and by political philosophy—in their efforts to resolve the abduction issue, the US cuts another deal with the North Koreans that absolutely no one in this part of the world expects them to live up to. And the Times of London thinks Abe’s displeasure with the US is a symptom of his poll ratings? If they want to ascribe dysphoria to a government because of dismal poll ratings, perhaps they should look at Washington instead of Tokyo. Meanwhile, during his visit, Vice-President Cheney will try to convince Prime Minister Abe and Foreign Minister Aso to provide more assistance in Iraq and Afghanistan, according to this report in the Japan Times (registration required). I hope Mr. Cheney is not expecting a warm smile and a hearty handshake when he walks into the conference room. Incidentally, the question of Abe’s poll ratings is an interesting one because Abe himself is apparently not that concerned about the drop, despite the obvious glee of the Japanese press. He may be putting a good face on a bad situation, but he also has a point, and I’ll discuss that more here in the near future. A pachinko fanatic since the age of 7, Tetsuya Makino couldn’t resist the temptation of the seven pachinko parlors he had to pass on the way from the train station to his university campus, so he dropped out of school to play pachinko full time. Makino lived solely off his pachinko winnings from 1985 to 1987. He usually raked in 200,000 yen a month, with his haul climbing to as high as 6 million yen when he was lucky. To put this in perspective, the exchange rate in those days was roughly 230 yen to the dollar. I came to Japan as an English teacher in 1984, and during my first year on the job I was paid the same 200,000 a month to work eight hour days, five and a half days a week. Public school teachers in their first year on the job right out of university earned 150,000 yen a month. 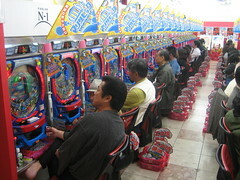 For an insight on how pachinko exemplifies certain aspects of the Japanese and their popular culture, consider that gambling is prohibited unless conducted by a government-related body (such as the lottery). What does Makino do for a living now? He’s the manager of the Pachinko Museum (Japanese only) in the Higashi Ueno district of Tokyo, of course! (Here’s a Japanese language guide to the site with a map for easy access. And here’s another Japanese language site with close-up photos of some of the older machines and Makino adjusting the nails in one of the machines. Try this site for a basic explanation of the game that has 17 million players nationwide and reaps an estimated 20 trillion yen in sales annually. Here’s an article with a wealth of incidental information, including how one goes about converting one’s winnings to cash. Some of the information is exaggerated (I wouldn’t describe the shop music as martial) and a bit outdated—Takako Doi was Speaker of the House from 1993 to 1996—but it’s worth reading and does bring up the underworld connections. It fails to mention, however, that many pachinko parlor operators are Korean or of Korean ancestry, and that the profits sent to North Korea are an important source of foreign exchange for that country. (The Japanese have cracked down on this lately, however.) This website does bring it up, and provides a rough estimate on the nationality of the operators. Here’s a superb article from Fukuoka Now in English by a foreigner who’s a self-confessed pachinko fanatic. It presents a more personalized view of the game and how it can become part of one’s daily life. This article summarizes the lengths a Chinese-Japanese gang went to rip off pachinko parlors in Kyushu. Their modus operandi required brains, talent, skill, and a lot of nerve—just imagine what they could have accomplished had they applied themselves to running a legal business. If all this talk about pachinko has gotten you excited enough to try it yourself, you can buy your own used machine here. Machine turnover in shops is very rapid, and the machines are restored, so they should be in good shape. Finally, here’s the English site of exchange-listed Heiwa, one of the largest machine manufacturers. I’ve never been very interested in gambling, but I tried pachinko once during my first year in Japan. It was a rainy Sunday in winter and I was walking around just observing the people and the city. I wandered into an older parlor with few customers. Most of the players were in newer shops across the street. I played for a while, winning and losing a little in turn. Then one of the shop’s employees beckoned me to follow him. He took me a few aisles over and directed me to a particular machine. I sat down, started playing, and won the equivalent of US$100 in about 10 minutes. I left the shop, cashed out, and never went back. If you’re in Japan and your idea of art is something more than manga, J-pop, and anime, you’ve got it better than you might think. There are excellent museums of all kinds even in medium-sized provincial cities, and the larger the city, the greater the variety of art. Here are just a few examples of what you could see today, with previews from the museums’ websites. This exhibit at the world’s only museum dedicated to modern Asian art presents a contemporary Asian take on love in all its forms. Runs until April 3. The exhibition includes 110 paintings, photographs, and other works by 30 artists, including Man Ray, Ernst, Magritte, Miro, Dali, and Picasso. Nothing else need be said. Runs until March 22; 900 yen. Note that all these exhibitions are cheaper than a movie ticket. Also, all the websites are to be found on the left sidebar for future reference. Nagasaki is known for the strong Chinese influence on its local culture. Nowhere is that more evident than with the local Lantern Festival, which began on Sunday to coincide with the Lunar New Year and will continue until March 4th. Gongs sounded after 5:00 p.m. in a local park, signaling the start of a ceremony to light the 12,000 Chinese lanterns hung throughout the city. Fireworks were timed to go off as the lanterns were lit. This festival is a celebration of things Chinese, and events include an ancient lion dance, a dragon dance, and acrobats. One shrine displays 10 roasted pig heads as an offering to the divinities. The festival has been held since the opening of the Port of Nagasaki in 1571, but was mostly limited to the city’s small Chinatown area. That changed about 15 years ago, when the scale of the festival was expanded. 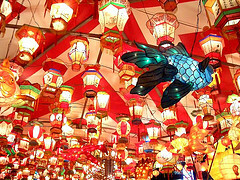 It now attracts many more tourists, but that’s no surprise; the combination of the events with the thousands of bright, colorful lanterns throughout the city make the festival a visual feast. The festival’s theme changes every year to coincide with the year in the Chinese zodiac, so this year visitors will see a lot of pigs. And there’ll be a lot of visitors viewing those pigs—an estimated 900,000 are expected to show up. Try this link before it goes: it’s a minute-long report from Japanese TV. If you can’t read Japanese, click on the symbol for either 56k or 300 k.
THOUGH Korean dramas have faded from Japanese TV screens over the past year or so, one recent show deserves to be aired in Japan. The Japanese would find it entertaining, and it would be more educational than the typical melodramas for a female audience in either country. That would be the historical miniseries Hwang Jin-i, which became an immediate sensation when it aired in South Korea last fall. 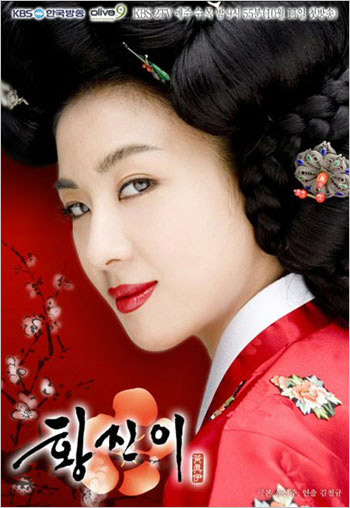 Hwang Jin-I was a famous gisaeng who lived in the early 16th century. Gisaeng were professional female entertainers who sang, danced, recited poetry, or played the geomungo, a traditional Korean instrument, for wealthy male patrons. If they sound like geisha, that’s because they played a remarkably similar role, though they are thought to have predated the geisha, who became a distinctive group in the 17th century. The geisha were said to be of the flower or willow world, while the gisaeng were known as “flowers who could understand words”. The former were trained at private establishments, while the Koreans were trained at government institutes. According to art historian Lee Don-soo, who is writing a book on the subject, the original gisaeng weren’t sexual objects but rather “entertainers who had intelligence”. Be that as it may, however, they did indeed become sexual objects — sometimes against their will — and that aspect is presented in the drama. The show was so popular it inspired a musical, a movie, a comic book, and more TV shows. Reports suggest that some contemporary Korean women have found them to be a role model. There are plenty of stories on the web about them now; this AP article appeared in the Western press, while this article is from the English-language version of the Choson Ilbo. The latter link will take you to several more features from the same newspaper that focus on the production of the TV show. They’re all worth reading—the actress in the lead role even learned how to walk a tightrope for one of the scenes. And don’t miss the photo in the first article of the modern gisaeng smoking a cigar. Though there are of course differences between the gisaeng and the geisha, the similarities of the women and their roles highlight yet again the uncanny resemblance between Japan and Korea. The comedy resulting from the standoff between eco-loonies Sea Shepherd and the Japanese whaling fleet in the Ross Sea off Antarctica turned tragic when the body of one Japanese sailor was found on the Nisshin Maru after an hour-long fire. The BBC reports that the ship is dead in the water and will have to be towed away. As the Nisshin Maru is the only ship in the fleet capable of processing whales, this year’s expedition to catch 945 minke whales seems to be over. The BBC report is worth reading if only because it provides further evidence that conventional media sources are now nearly worthless for simple information gathering. Once the media was clearly shown to be both biased and slipshod, one would have thought they’d take steps to do their job better–or at least cover up the problem better. Instead, being caught seems to have liberated the media worldwide, because they’ve gone from bad to worse to atrocious. New Zealand wanted the Japanese to allow a Greenpeace ship to tow the Nisshin Maru out of the area to prevent damage from a potential oil spill. BBC report, paragraph 14: Japanese officials say there is no concern of an oil spill. BBC report, paragraph 15: There is a Japanese tanker alongside the Nisshin Maru prepared to tow it away if necessary. Not in the BBC report: The Greenpeace ship was a day away when the offer was made. Not in the BBC report: There is a video on the Institute of Cetacean Research website showing that the Robert Hunter of Sea Shepherd deliberately rammed a Japanese ship. Greenpeace urged Japan to accept its offer. “This is not a time to play politics from behind a desk in Tokyo,” said Karli Thomas, from on board the Esperanza. The Greenpeace ship was a day away when the offer was made and has no idea of the condition of the Japanese ship. Meanwhile, the Nisshin Maru is probably in direct contact with the Fisheries Agency in Tokyo, which would mean the people behind the desk in Tokyo have a better grasp of the situation than Greenpeace. BBC report: While all this was going on, the Sea Shepherd group wasn’t even in the area, as they were heading for a port to refuel. Not in the BBC report: They must have finally resolved their serious problems with the governments registering their ships and the governments in the area. One of the Sea Shepherd’s two ships was immediately deregistered (and the other was going to be deregistered on the 19th) after they started causing trouble because they had registered as pleasure ships. (Well, that and the fact that Sea Shepherd is obnoxious and dangerous.) Deregistration would subject them to arrest as pirate ships had they returned to port. Greenpeace refuses to cooperate with them, and even anti-whaling governments in the region dislike them so much they may have told the Japanese fleet their location to help them avoid the activists. As of now: The Greenpeace ship has finally reached the area and gotten in contact with the Nisshin Maru. The Japanese say the fire on the ship has been completely extinguished. Also, in a classic case reminiscent of a Trotskyite and Stalinist blood feud, Sea Shepherd is accusing Greenpeace of “cannibalism” because members actually ate whale in Japan. (Greenpeace is not opposed to coastal whaling in Japan.) Read all about it here. Overlooked in the media reports of the deal struck in the six-party talks this week is that one of the participants is proving to be a tougher nut to crack than George Bush, Kim Jong-il or the Chinese. That’s Japanese Prime Minister Shinzo Abe. Ri also claims that the abduction issue is “already settled” (not in Japan, it isn’t) and there will be no normalization of relations with Japan until there is a “settlement of crimes” (committed during World War II). One wonders to whom Ri is speaking. He’s not breaking any hearts in Tokyo over a failure to normalize relations. The North Koreans have surely read Abe’s book (Utsukushii kuni e), so they know the Prime Minister’s policy is to be an immovable object. Japan already has imposed economic sanctions on North Korea, which is probably one of the factors that got the Koreans back to the table to begin with. 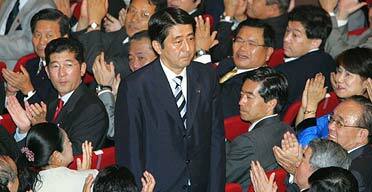 Prime Minister Abe pointedly wrote that people should ask themselves whom sanctions are hurting. We’re not the ones whose lives are going to suffer, he noted. Some of the left-leaning media suggest that Abe glommed onto the abduction issue as a way to climb his way to the top in politics, but that suggestion rather damages any credibility they may have. (And since they and Abe detest each other, they have very little when he is the topic.) Abe’s political attitudes were formed early in life, and they are such that he considers the abductions to be an unforgivable infringement of Japanese national sovereignty. His beliefs motivated him to become one of the first politicians in Japan to take up the abductees’ cause, even when people in his own party, the center-right LDP, didn’t want to know about it. And North Korean nuclear and missile tests certainly haven’t softened his heart. Abe is acting out of principle, or at least as close to principle as any politician gets anywhere. Incidentally, if the other members of the six-way talks are counting on reaching an agreement with the North and having Japan foot a major part of the bill, they might want to think twice about that one, too. Abe still remembers Japan’s enormous financial contribution to Kuwait after the Gulf War, sent in lieu of troops because of Constitutional restrictions. He also remembers that when Kuwait placed a full-page ad in American newspapers thanking all the countries who helped them regain sovereignty, Japan’s name was left off the list. It’s going to take some doing for North Korea to pry open the Japanese wallet while Abe is sitting on it. The North Korean Ri said the abduction issue would be discussed in a working group for normalizing ties between Tokyo and Pyongyang, which will be established as part of the recent deal. He said, “We are willing to be flexible about the timing and place” of the group’s first meeting. I’ll bet some people thought they would never see the day when North Korea would be more flexible than Japan in negotiations about anything. Well, it’s time to greet the new day.